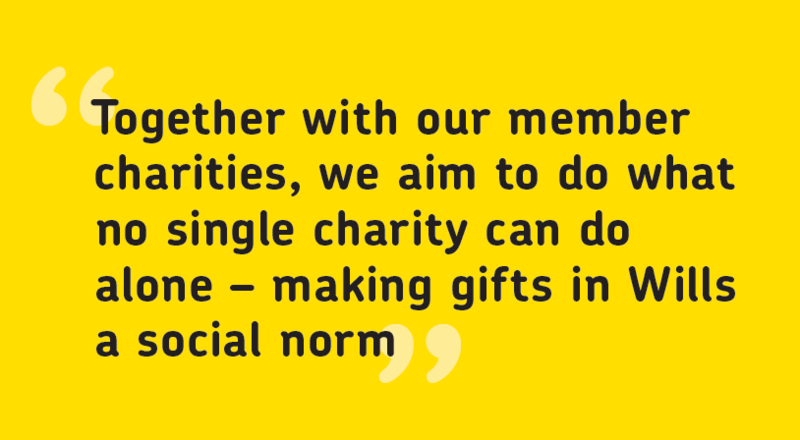 By working together with member charities, campaign supporters, government and partners, we’ve helped grow the legacy giving market. The following charts show how charitable estates have grown since 2007. We now have a growing network of 1,300 solicitors and professional Will-writers who commit to always mentioning charity to clients. We’ve also reached our highest membership figure to date, with more charities joining us from a diverse range of cause. Find out more in our latest Impact Report. Driving the public’s consideration and action about gifts in Wills. Ensuring professional advisors consistently mention the charitable option when advising clients. Creating a more favourable environment for charitable Will-writing. Find out how we measure against these objectives in our Strategic Plan 2019-2021.